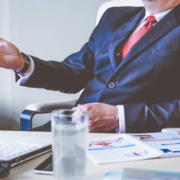 Whether we are representing a client, discussing the terms of an agreement with a sub-contractor, trying to get a better price from material suppliers, or trying to resolve a dispute, negotiation skills are at the epicenter of what we do. 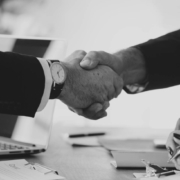 This is why KEN International has invested time and resources in honing the negotiation skills of our people, as we need to ensure that contract negotiation is always reaching the terms that maximize our clients’ benefits. So, how do negotiations work exactly in construction? Our key approach is to get prepared for what we are about to negotiate by analyzing all available information and relevant data. This enables us to lay out a specific negotiation plan that will reside in an equally specified negotiation context. As the contracting party, our goals are to lower the project risks (cost and delays), achieve high-quality results from the work of subcontractors, and have everything done according to the defined timelines and schedule limitations. While this all sounds a bit self-evident, it really isn’t. The complexity that derives from the conflicting interests and priorities of the various negotiating parties are often leading to dead-ends that cannot always be resolved through effective communication and a thorough understanding of the dynamics. This is precisely where our expertise comes into play, as our approach may even prevent this negotiation derailment from happening in the first place. By getting prepared beforehand, we are identifying the common ground between all parties and focus on areas of equal interest. If we can make proposals that will increase the value for everyone, we place them as high priorities. Next, we are highlighting our open approach to everyone and share our plan and estimations so as to establish a level of realism. This helps contain those who are aggressive negotiators and want to take advantage of a situation or opportunity to maximize their own gain. By setting a realistic context that everyone accepts, work items that correlate to time, quality, and cost, can be negotiated on a fair basis. Finally, we ensure that for the construction projects that we manage, we remain the key holders. As we utilize our project management software for document development, communication, and collaboration, all other parties are relying upon us and our undeniable transparency and accountability. 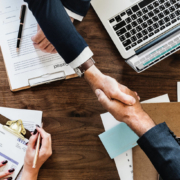 By drafting the contracts ourselves, we ensure that all legal details of claims management and risk planning are taken care of without discounts or omissions. Once the project is completed and we have to deal with pending claims that haven’t been resolved during the construction stage, we proceed to a “minimum compromise” negotiation in order to mitigate legal court costs while retaining a low number of awarded claims, so our clients’ financial encumbrance is kept at the lowest possible level. The Risk Management process involves many sequential steps that constitute a carefully structured plan, like the one that we have developed in KEN International through our extensive experience and in-depth knowledge. Unlike simplistic and generalistic approaches, we opt to go back and forth between the spectrum of the qualitative and quantitative risk analysis, in an effort to establish a robust system of insightful evaluation and achieve the subsequent risk management plan optimization. Here is what each of the two elements involve, according to our plan of action. Identifying the associated risks presupposes the development and laying out of the complete work items plan, and pre-execution planning is in the core of our expertise. Assessing an identified risk element from a qualitative point of view means considering its probability and impact, test various assumptions that the team comes up with, and rate the data as to their precision. The outcome of this process is the deduction of the overall risk rating (necessary for the feasibility evaluation), as well as the identification of any trends which help in optimizing the prioritization of the identified risks. We conduct this type of analysis by developing a risk probability and impact matrix, conducting an FMEA (Failure Mode and Effect Analysis) on specialized software, and by drawing Ishikawa diagrams (for root-cause analysis), and fault trees so the risks can be prioritized with precision. Our probability and impact evaluation is not limited to a “yes or no” outcome, but positioned on a scale of severity, allowing for further optimization and categorization. The impact is also split into categories underpinning the impact on cost, schedule/progression, and work performance. The total aggregate helps us tag the risk item with the corresponding identification rating. Following the qualitative, we proceed to the quantitative risk analysis which helps us express the probability of each identified risk item and its scope of impact numerically. Rough estimates and long-shot predictions have no value in efficient engineering, and KEN International wins the trust of its customers not by randomly betting and making promises, but by presenting actual numbers that support the proposed management plan. Not only risks are evaluated in this step though, as the probability of achieving a specific objective or even a set of goals is actually of equal importance, as it’s the other side of the same coin. Our considerations during quantitative risk analysis include the results of a sensitivity analysis, the results of a decision tree analysis, and many hours of simulation on risk assessment software tools. This helps us prioritize the list of the risks, run a probabilistic analysis on firm ground, identify trends, and finally come up with a golden number that indicates whether achieving the cost and time objectives is doable or not. Also during this step, we implement all of our mitigation techniques, as the bow-tie diagram that we develop help us put the source of hazards in order against the consequences of each control measure path that we can take. As a firm, we have developed and followed a comprehensive environmental sustainability plan in each of the construction projects that we have undertaken thus far. Protecting the environment and minimizing the construction footprint is one of the core values of our company, so we perceive this responsibility to be of utmost importance while following the underpinning regulations is only the outcome of our methodical approach and not just an obligation. This is proven by the fact that we often go well beyond the limits and requirements of the environmental protection standards followed in construction, adding more value into it if it makes economical and architectural sense to do so. Naturally, this approach comes with a set of benefits that extend to the well-being of the society and the overall cost of the project. Where others see the requirements of environmental protection to be merely a costly obligation, we see an opportunity to actually reduce the execution and operation costs by being more efficient in all steps of the way. • Evaluating existing buildings – We consider the possibility of reusing or repurposing existing buildings, after evaluating their structural capacity and determining the extent and the cost of the required reconstruction and renovation. While this may not concern the critical structures of a project, it may serve for auxiliary power stations, storage points, or even as bases for the construction teams. • Evaluating existing natural features – If we identify trees, or ponds, or other beautiful natural formations, we assess the potential of retaining and highlighting these elements instead of replacing them. If this is against the proposed architectural design, we explore the possibility of adjustments or enrichment that will offer a better aesthetic result using the indigenous natural elements while staying within the budget limits. • Improve access to site and facilities – We collaborate with the local traffic planning authority to arrange the best plans for the project workers and the construction equipment to reach the site on a daily basis. This helps in reducing our carbon footprint throughout the duration of a project’s work. • Minimization of wastes – By developing an accurate material sourcing and procurement plan, combined with a vigorous recycling practice, we end up having minimal waste materials. These are appropriately stored and transported to specialized recycling facilities/units, so nothing gets dumped to the environment. • Optimization of energy expenditure – By monitoring our energy expenditure and comparing it against the work schedule, we can easily identify wastages and set up an energy spending mitigation plan. During the day, the site worker’s facilities are powered by solar panels, covering the lighting, cooling, and ventilation needs almost entirely through renewable sources. • Minimization of dust and noise pollution – By utilizing complete pollution control systems of combined technologies, we achieve high levels of dust containment and noise dampening, and we also implement multiple reduction techniques. • Use Eco-friendly materials – When we are responsible for the selection of the building materials, we always opt for Eco-friendly solutions, and when we’re not the ones to decide we make our case known in the form of a proposal report. For the selection of the materials, we pay attention to the relevant legislation and select those that are non-toxic, non-carcinogenic, were produced with low-NOx manufacturing practices, and do not contribute to the ozone depletion. • Develop a biodiversity plan – Whether we are dealing with elements that we found on site and retained, or entirely artificially-created environments, we always develop a detailed biodiversity management and maintenance plan to help whatever ecological side of the project thrive. Construction is filled to the brim with risks, meaning that the risk management process needs to be integrated to all functions otherwise something important is bound to get missed. All uncertainties are associated to one or more functions of the construction project management, and each of them has the potential to negatively affect the scope of the work, the schedule for completion, and the estimated cost. 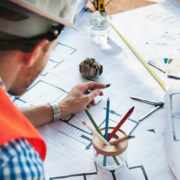 To achieve an optimal risk identification, establish an effective assessment process, and then develop a comprehensive action plan, the whole process of risk management needs to be integrated into the construction management functions. Our approach is to fragment and distribute this step of the work to the associated engineering teams, essentially integrating risk management in all of our distinct operational areas, and then reunite everything on a common risk management platform for an overall assessment and correlation. 1. Scope of work – What are the client expectations, and what is the feasibility of the project? 2. Quality Assurance – What are the requirements and designated standards? 3. Time – What are the milestone objectives and what the time constraints? 4. Cost – What are the budget restraints and how is the financial plan laid out? 5. Contract Management – What are the associated services and material orders? 6. Human Resources – What is the productivity availability and how can it be formed? 7. Information Control – What is the data exchange plan and how is accuracy assured? 8. Project Management Integration – What are the life cycle and environment variables? Having dedicated teams work in each of the above sectors and associating possible risks with their scope of functionality is key to completing the integration quickly and effectively. All of the identified risks are added in the section of the PMS (Project Management Software) tool, so the association and determination of the linkages between each field are carefully evaluated in the next step. • We are enabled to allocate risks to the most appropriate engineering team. • We focus on internal auditing programs. • We focus more on risk reduction/elimination rather than risk recovery/mitigation. • We gain a more in-depth insight on which are the new opportunities that can be grasped. • We have the capacity to develop a mechanism to review the risks and their status changes. • We can enhance the communication between contractors, suppliers, and the client. • We can present a more systematic business planning strategy. • Our clients are reassured that their project is professionally handled from day one. • We can support decision making on how to utilize the available resources effectively. • All stakeholders have a common platform for communication. • Design Intent Description: Modern/classic Contemporary yet simple design and practical water features and dramatic spaces. Floor plan to be friendly for eventually disable circulation and usage. Integration of the landscape with the architecture. We are proud of our participation in this project, and we are focusing our efforts on the deliverance of absolutely high-quality results. 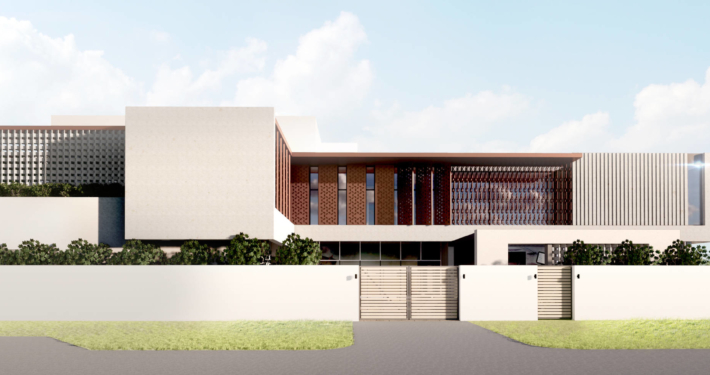 The trust that the client showed us is vindicating our efforts so far in the field of construction management, and we intend to justify it this selection. We are also glad to be working along with other successful companies and engineers, being part of a multidimensional team which consists of many talented people who are engaged in the field of construction. The first coordination meeting was held on October 15, 2018, and here’s a snapshot. Ever since our conception, we have paid attention to novelty parts of construction management that others may consider as unnecessary, or at least not absolutely important. Life Cycle Assessment is one of those things, and it is an indispensable component of our work in all of our previous projects. But what is LCA exactly? From the extraction of raw materials to their manufacturing, their use in the construction of buildings, the operation of these buildings and their maintenance, and to the end with the demolition, this is the total life cycle. Standards such as the ISO 14040, the methods and guidelines of which we follow in order to measure the life cycle of a building define life cycle as the “compilation and evaluation of the inputs, outputs and the potential environmental impacts of a product system throughout the duration of its life”. • Promoting sustainable engineering practices in real projects and not just in promotional material that has marketing targets. KEN International is conducting tangible work to help society prosper, economy grow, and the environment to stay healthy and protected. • LCA reports help contractors get to know how to prevent issues relating to environmental factors, waste management, etc. • Home builders can get a clear picture of how energy and resource savings are achieved through sustainable engineering design and construction. • Building owners are happy with their investment, seeing that the impact of their creation on the environment is minimal. For KEN International, LCA has another important function which is to drive our internal team’s innovation. LCA reports often unveil opportunities to increase efficiency and/or quality on a specific step, and this further increases our efficiency and budget effectiveness. Finally, it can potentially help us make more solid decisions during the design and construction phases. We determine the context of LCA by considering the guidelines of ISO 14040, 14041, 14044, EN 15804, and EN 15978. Simply put, these standards provide the guidelines on how to analyze the impacts of all factors to the surrounding environment. This spans from the extraction of a material, to its maintenance, and to the end of its service which comes with the demolition. • Opting to use higher quality building materials that are environment-friendly and have a relatively low environmental impact on the long term. • We use comfortable safety factors during the building design, minimizing the need for maintenance and the associated energy losses. • We minimize fuel and water consumption, both during the construction phase and during the operation of the building. • We take all measures possible to bring C02 emissions to the lowest possible levels achievable. This concerns both the construction phase and the operation of the building, and of course, our consideration also includes the manufacturing process of the selected materials. • Dust emission is another critical factor for LCA, so we take all precautions that have the potential to tone it down to a minimum. • Finally, we minimize the produce waste on the construction site, following all of the established recycling methods. Moreover, we consider waste rates during manufacturing when selecting our materials. Risk Analysis in construction management can be basically summed up to the elimination of uncertainty. This of course is not as simple as it sounds as uncertainty engulfs everything at the start of the planning phase. We can surpass the associated difficulties by putting our meticulous pre-execution planning and previous construction management experience to work. Of course, to this endeavor, we enjoy the support of sophisticated software tools and management platforms that can unify multiple elements of construction, associate teams and work tasks, locate overlaps, and identify risks beforehand. Using our Procore custom platform as well as other quality and risk management tools that we utilize in the field, we ensure that all construction data is collected and taken into account from the planning to the execution phases. In KEN, we believe that tracking the performance on all levels is key to identifying risks early on and taking proactive action to mitigate their effects or to completely eliminate them. Through vigorous monitoring, we pinpoint the problems and resolve even the most complex of issues. 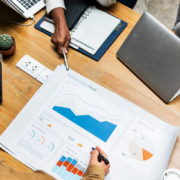 In this context, our data reporting is truly in-depth, and the trends analysis is incorporated into it for justification and improvement proofing. Following our standard approach on being completely transparent with our clients, these reports reach them in the same time that they are generated by our software tools, and all live data is available to them at any time. Identifying a risk is the first step in the process of risk management. After we complete the pre-execution planning, copies are distributed to our team of experts and then they are all asked to contribute their predictions and outcomes. We are using databases of previous projects containing previously identified risks, associate similarities and finally identify the most expected risks. The next step after having identified and pinpointed the risks is to analyze them. To maximize our efficiency in this step, risks are grouped into three categories, underpinning a.) time, b.) cost, and c.) the scope of the project. These risk categories will determine how each risk item will be further evaluated in the next step, as our team members now undertake one of the three categories to speed up the process. From there on, categories are further broken down to subcategories, including occupational risks, financial risks, contractual risks, project risks, stakeholder risks, natural disaster risks, and competition risks. • How likely is the construction site to suffer from a flood during the designated construction period, and what would be its impact in the project work schedule and additional costs? • What is the chance of a sudden increase in the price of construction steel, and what would the percentage of that increase be in the worst case scenario? What would be the maximum damage to the profit margins in this case? In this step, we are taking proactive action to either eliminate the risk item entirely, or mitigate its effects as much as possible. Through in-depth analysis, we can evaluate the potential outcomes of our treatment/mitigation strategies, and how this will place a specific risk item in the ranking. Sometimes, risks can be avoided entirely by changing the planning as required. Others, risks can be transferred to other parties through insurances or relevant contractual agreements. Mitigation of risk items is mostly achieved with the training of the personnel and the construction of additional protective elements. For the risks that cannot be handled in any way, like natural disasters, we accept them and simply strengthen the depth of our construction planning so as to accommodate unforeseen changes as we go. Of course, in this phase, we do not just mitigate negative risks, but we also look into opportunities and ways to enhance their effects as well. Finally, having done the risk management planning as described above, we closely monitor the risk items in every step that encompasses them. This allows us to evaluate whether our measures were indeed adequate or not, and how a risk item develops throughout time and in relation to the project goals. Thanks to this methodical work, this stage is when our predictions are confirmed instead of a time of surprises and missed opportunities. Shop drawings that describe how a building is going to be structured, or how it’s going to look like when completed are pieces of high technical value and also highly technical detail. Combine this with the fact that a drawing produced by a draftsman has to be circulated on numerous other engineers, often of different disciplines for review, revisions, and approvals, and you instantly have a serious need for a solid “Drawing Management System”, or DMS as we call it. Due to the high complexity and information affluence of technical drawings, it is easy to miss a detail that has changed like a specification for example. Due to this, the process of sharing, reviewing, changing, and approving drawing versions has to be centrally controlled and managed, unifying everything and everyone under a centralized collaboration platform. The risks of not formulating a solid DMS, and not operating it at maximum effectiveness are multiple and very serious. Here are some examples that still plague the world of construction and occur way more frequently than what you’d think. • Confusion caused by different numbering systems used in a construction project leads to serious time delays and costly errors. Two different numbering systems are enough to cause confusion, while anything above will bring havoc to even the most skillful and experienced construction managers. This is commonly caused by partially sub-contracting DMS duties, having overlapping responsibilities of engineering teams, and not unifying the DMS in large-scale construction projects. • Duplicate versions always cause confusion and delays. The common reason behind this is the submission of multiple drawing file formats to increase the compatibility and readability of the files with multiple design software tools used by the various teams (architects, structural engineers, etc.). While well-intended, this is an erroneous approach. • Old drawing versions being implemented on the construction site! This is the nightmare scenario, and at the same time a perplexingly common phenomenon that can potentially lead to extreme financial losses, claims against, and total project failure depending on the scale of the error. 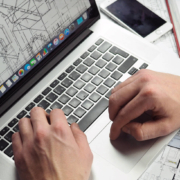 By utilizing modern construction management software and customizing it to meet the project requirements every time, we achieve a foul-proof documents and drawings version management that leaves no margin for errors. This is also reflected in our immaculate record, proving that our punctual approach pays off. • By uniting everything onto a single collaboration platform, we achieve a coherent and project-wide document numbering and revision coding system. All drawings feature numbering consistency no matter which drafting team has prepared them, and the revision coding follows an easy to understand alphanumerical system. In addition to the above, we have established a filename suffix additive to indicate the various different file types linked to the same drawing. This way, there are no misunderstandings and confusions. • All drawings feature a special formatting that includes a revision identification table on the corner. This makes it quick and easy to identify the revision number and quickly crosscheck if the handed file is indeed the latest approved shop drawing. No more costly mistakes on site. • Doing things right and well as quickly is crucial in construction management, so we always aim to cut inefficiencies wherever they may be. In this case, the largest time wasting is found in the step of the auditing. To address this problem, we have developed a speedy workflow that is automated and streamlined (takes fewer steps). As the management software allows the live review of this process, we can identify any delays and bottlenecks and take timely action to resolve the issue or mitigate the risks. 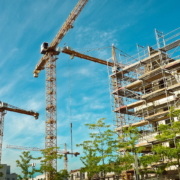 • Thanks to the cloud-based construction project management software that runs our DMS module, we are able to connect all stakeholders and keep them on the same page with advanced visibility and report generation. We even connect vendors and subcontractors so the document management is truly unified, and information from everywhere is being captured in the platform for everyone to access at any point. This is indicative of our transparency and mentality to share all information with our clients. Claims management is one of our most successful areas of service, offering it directly on the construction projects that we undertake or even as a consulting agency for projects carried out by other offices. With ethical conduct and transparency being at the epicenter of our moral context as a company, we can lead the claims management duties with translucent details available to all parties involved in a project. Of course, our approach to this type of service is supported by our lawyers so nothing is left to chance. We specifically formulate the required documents, including all possible terms for the developing agreements, and finally solidify a certain claims management strategy that works to the benefit of our client, whether it is for their own claims, or those received by third parties that the client will have to defend against. We fully understand the need and importance of developing contemporary records so as to produce them at any point that is necessary for us to substantiate a claim. Our FIDIC (International Federation of Consulting Engineers) certification and training has played a key role in enabling us to integrate the prepared contemporary records into the cause and effect matrix and the retrospective delay analysis report. This makes it possible to pinpoint the motivation of a claim as well as to quantify it (actual and preliminary costs, disruption, loss of profit or opportunities, finance charges and interest). Construction Cost Management Services is an integral part of our claims management, enabling us to control everything under a single and holistic management platform. 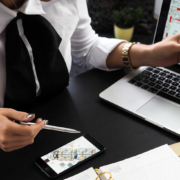 From event record reports, case studies, to claims datasheets and delay analysis, we unify everything under a single analysis and decision making system. Once the faulty performance is identified or even predicted, the claiming rectification procedure is initiated and thus our client’s interests are always at the forefront. Once a breach in the contract terms becomes evident, we prepare an official notification either to our client or the 3rd party (depending on the claim type) and then proceed to consult both parties on the optimal ways of resolution. Our notifications follow a standardized formatting which is insightful, detailed, and comprehensive. 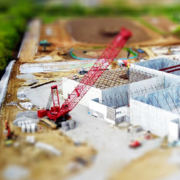 To render our claim management process more effective, we ensure that the folder structure is specifically developed for each project, considering its level of complexity as well as its special characteristics. Claim types, insurances, policies, contracts, etc., are all laid out in a specific way that automates the process (CAS), correlates the items and highlights their connection/relation, and finally offer the capacity to search in the database, sort items, apply layering filters, etc. All this is done in claims management software tools, so reporting generation on all actions taken is easier. Establishing a solid overall management strategy is an indicative element of a claim handler who is accountable and responsible. We follow a specific strategy without random deviations, being coherent and stable in all managerial aspects. We use the collected data to identify the claims and their quantification elements/features, we perform complete supplier management, control the associated legal costs with responsibility, and detect insurance frauds or other types of malicious claims made against our client. Of course, it’s always better to anticipate and forecast rather than have to deal with claims because even the most efficient claims management comes after a problem is manifested. For this reason, our primary focus is the risk evaluation and risk management planning, an in-depth change management policy that covers a wide spectrum of possible changes, provision for quality assurance plans, timely selection of the most suitable contractors, and pro-active management during the construction phase. Pre-Execution Planning (PEP) is one of the areas where we focus all our energy and focus on when undertaking a new project. Our experience has shown that a clearly defined strategy for project management is the key to the success of a construction project. Without a good PEP, the risks are too great to handle, almost certainly leading to higher costs that initially anticipated and many delays in the progress and finally the completion of the work. Our PEP consists of a definition of the role and work scope of each participating member of the workforce, the definition of the policies context, the items prioritization and the procedural optimization, and specifically orientated management strategies. These management strategies may include the contractors and subcontractors, the materials suppliers and/or equipment vendors, the operational and relocation costs of equipment, the organization of manpower, organization of training sessions, and many more. Determining how exactly all of the above is going to be managed provides better insight on the possible obstacles to be faced during their execution, and also gives an opportunity for the development of alternative routes that help in the cases of emergencies or problems. • A summary of the project management strategy. • The BIM planning overview and the drawings relevant to it. • The work items scheduling. • The cost management items, including the cost planning and the accounting process. • The contracting, subcontracting, and procurement management strategy. • A detailed responsibility matrix table and a contractual tree diagram. • The involved authorities and the schedule of appointment with them. • The required permissions and their obtaining timeline planning. • The monitoring and report generation strategies and relevant data management. • The special consultants and information management. • The applied technology management and strategical approach. • The internal and external information control and sharing strategy. • The health and safety strategy and the applicable policies and standards. • The sustainable engineering practices strategy and the applicable policies and standards. • The quality assurance strategy and the applicable policies and standards. • The personnel training strategy, the requirements, and the training impact evaluation. • The operational hierarchy, and the procedure of information reporting strategy. • The equipment requirements and renting or purchase timeline planning strategy. 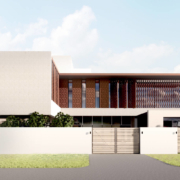 Our BIM expertise is giving us the ultimate edge in that part, as we can benefit from the insight of software algorithms and AI modules to develop accurate and effective strategies on all of the aforementioned elements. Our advances BIM processes enable us to identify the primary and secondary objectives of a project, design a highly-tailored project execution plan, develop the information exchange framework, and finally define the project infrastructure for the BIM implementation.